Your browser doesn't support the <video> tag. Your browser doesn't support the <video> tag. 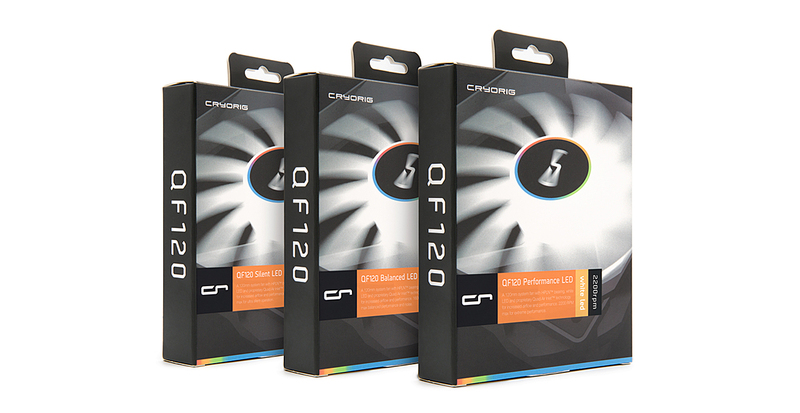 With the QF120 LED, the QF120’s are enhanced with white LED lighting to bring neutrally highlight the system. A total of 4 high quality LEDs are found in the fan motor hub. 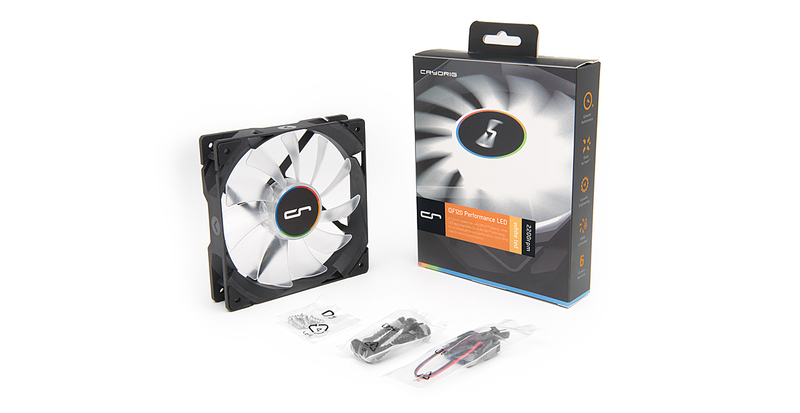 QF Series PWM fans feature CRYORIG’s HPLN™ (High Precision Low Noise) bearing system, offering stable and precision rotation eliminating excess vibration and noise. 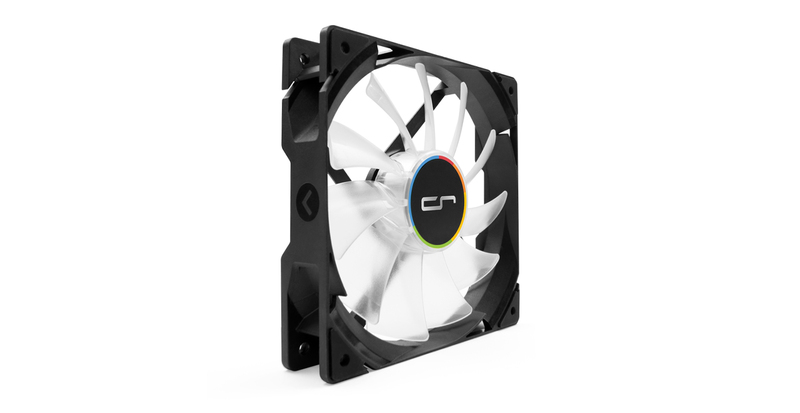 CRYORIG’s proprietary Quad Air Inlet™ system features four strategically placed aerodynamic air inlet that allows for extra air intake. 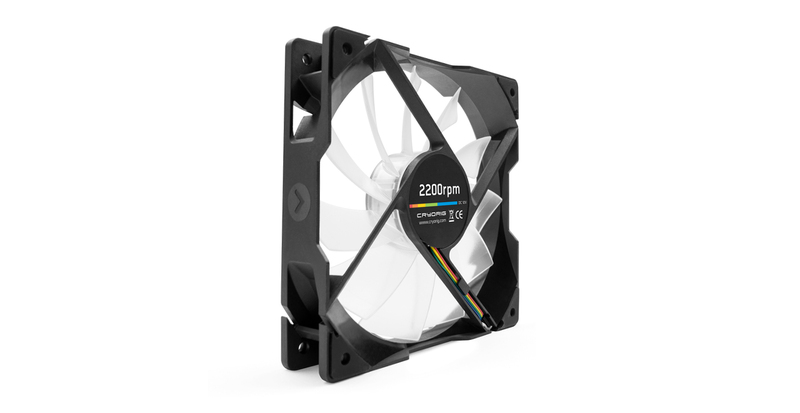 Additional air intake allows the QF120 LED fans to have a higher air output volume for its fan diameter, which equals better temperatures for your CPU heatsink and more air flow for your system case. Featuring four pin Pulse Width Modification (PWM) RPM spin speed control, QF Series fans offer a ultra wide range of RPM settings. This wide RPM range allows users to fine tune their fan speed directly through mainboard bios settings. Roughly 33% more selection range than the system fans from competitors. Some RPM speeds are only available through PWM control. Frame vibration causes unwanted noise. This is why all QF Series fan come with rubberized Vibration Absorbers to nullify fan vibration. Vibration Absorbers are already built directly into the fan frame, no extra work necessary. The QF Series in three different flavors: Silent, Performance and Balance. Ultra low RPM speeds of 200~1000 RPM with the minimum noise level of 5 dBA, it is almost on the threshold of human hearing and virtually inaudible inside a PC chassis, while still pushing airflow. The perfect solution for mid-night gamers or audiophiles, who need near silence but still their system cool and stable. A moderate 330~1600 RPM provides a good balance between performance, RPM and noise. This is the best RPM range for everyday PC use, either as a CPU fan or a system fan. 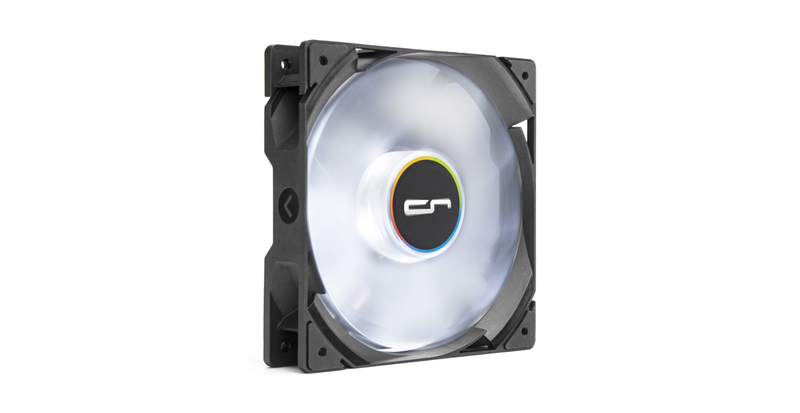 Low enough speeds to be nearly unnoticeable, but also fast enough to provide essential cooling when it’s needed. 600~2200 RPM is extremely fast and extremely cool. 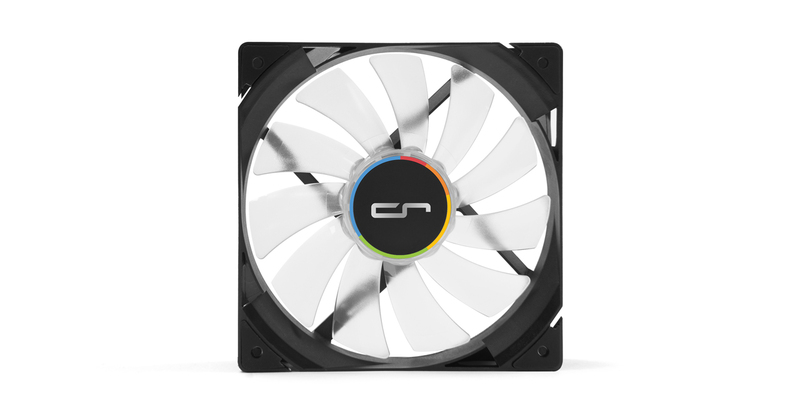 This RPM range is wide enough for the fan to be a multi-use fan, either as a CPU or a system fan. 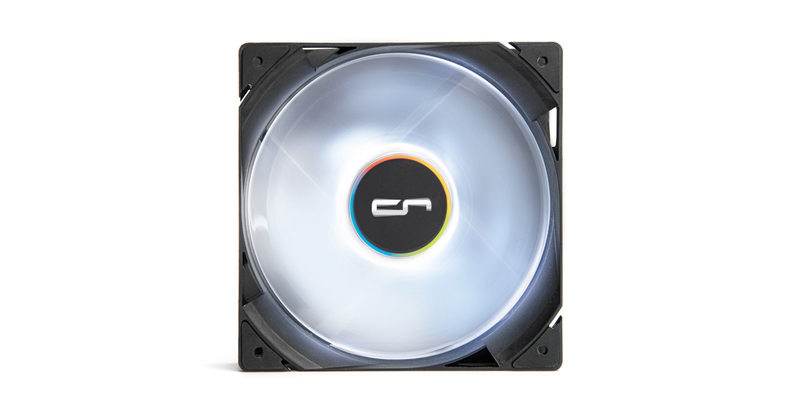 600 RPM provides good noise to performance ratio, and can keep the system and CPU cool under low loads. 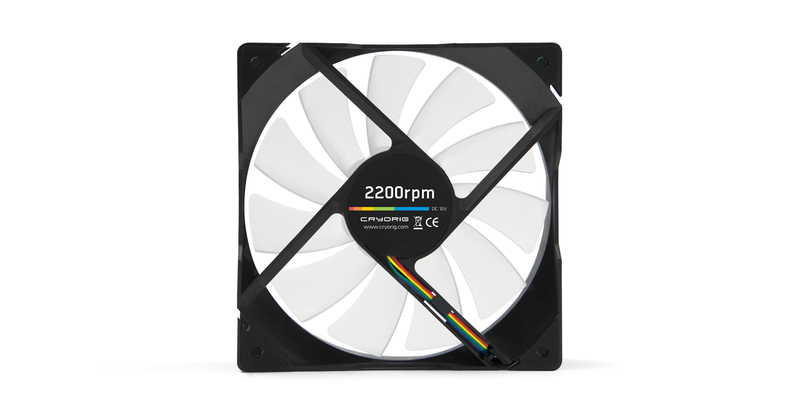 Once unleashed, the max 2200 RPM creates nearly double the airflow of regular 120mm sized fans and enough cooling force for even the most extreme overclocks. Have questions about the product? Look up our FAQ section to find an answer! Read more about our Warranty Policy and find out how your product is protected. Register your product now to receive up to 3 years of extended warranty! Can’t find information you’re looking for? Our customer support is here for you!